McDonald’s Accepting Love As Payment. – the ajayi effect. McDonald’s Accepting Love As Payment. #GoSeahawks. I’m not bitter. I swear I am not. Anyhow, moving on…. People complained that Superbowl 49 brought with it ads that were too sentimental. I disagree and feel like they reflected the tone of the time we are in at present. There were winners of the the night : Pepsi, CocaCola, Lexus, Microsoft, Dodge and Mercedes killed it. McDonald’s took first prize. Throughout the night, the golden arches tweeted out the opportunity to win all of the luscious items that were featured in the ads. 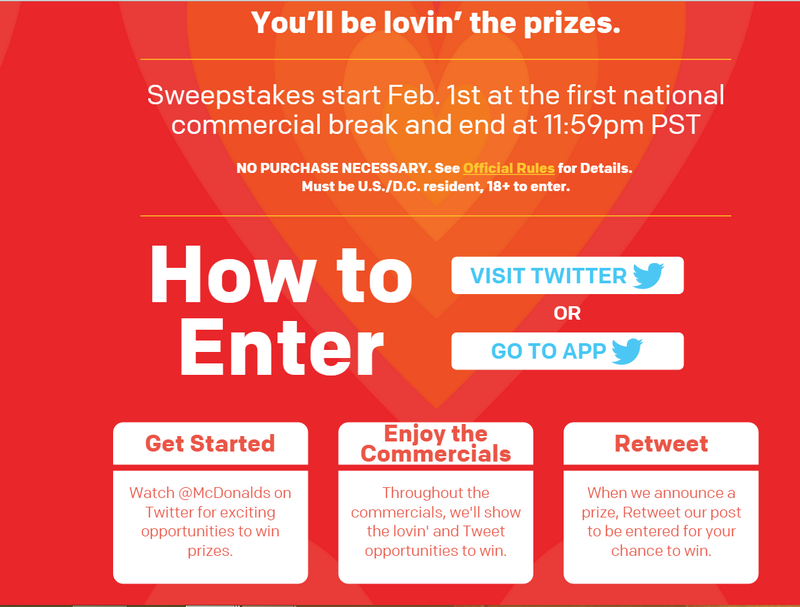 Cars, plane tickets, Doritos, lingerie…it was all there as part of their, “Lovin’ the Super Bowl,” campaign. But that wasn’t all. Starting today, they will let some customers pay for their food with different forms of what the chain calls “lovin’,” which could include selfies and hugs. Customers who order items during preselected times will get to participate in the deal. McDonald’s employees will let customers know if they get to “Pay with Lovin’.” The promotion will run through Valentine’s Day.